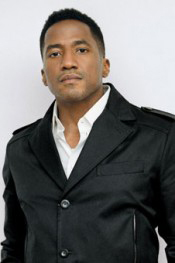 Q-Tip started his music career as one of a members of the legendary group A Tribe Called Quest. Truly ahead of their time, Tribe’s cool laid back beats and innovative combination of hip-hop and jazz had an enormous impact on the music industry. Their hit songs such as Electric Relaxation, Bonita Applebum, Can I Kick It?, I Left My Wallet in El Segundo and Award Tour, are regarded as classic hip-hop and benchmark’s of the genre. After A Tribe Called Quest parted in 1998, Q-Tip went on to pursue a solo career. His first singles, Vivrant Thing and Breathe & Stop, were hits and quickly established him as a solo success. The Queens-born artist’s latest album, The Renaissance, was released to rave reviews. When you think of jazz and hip-hop it’s almost impossible not to think of Q-Tip and A Tribe Called Quest. Tribe offered hip-hop a unique jazzlike style with their upbeat, insightful rhymes. And when you think of jazz it’s also almost impossible not the think of New Orleans, where it all started. Hurricane Katrina, one of America’s most devasting natural disasters, changed the city rich in music history forever. However, it’s rebuilding in a positive manner with the support of many music legends, including Q-Tip. I spoke with the former Tribe Called Quest artist about his quest to keep the original musical flavor of New Orleans alive. How has jazz influenced your career? Jazz has always been clearly represented in my music. In A Tribe Called Quest, we incorporated jazz elements that had not yet been used in hip-hop whether that be samples or instrumentation. That really made us stand out at first, but it has since been used throughout hip-hop production. What is it like performing in New Orleans? The energy of New Orleans audiences is some of the best in the world. They have a fine appreciation of all kinds of music. People down there like to have a good time. When you traveled to New Orleans since Katrina what did you see and feel when you saw the wreckage? When you go to New Orleans now, there is a mix of sadness and hope. Areas that were wiped out are still vacant. Communities were destroyed. Families were torn apart. People who experienced Katrina carry this emotional weight with them now and forever. You can’t help but feel it when you are there. That being said, you see the rebirth of a community and the possibilities that lies there. We as a nation can’t forget what happened down there and need to remember that rebuilding is a must. When you think of New Orleans what comes to your mind? When I think of New Orleans, I think of several things that you can only find there because of its rich history. It is one of the most unique cities in our country that offers up incredible food, architecture, dialects and music specific to that region. When you think of jazz what comes to your mind? Musicianship. Some of the most talented artists come from the jazz world and have influenced other genres. How did the images of Hurricane Katrina affect you on an emotional level? Witnessing the devastation on television and in the media was difficult. My mind was racing through all kinds of emotions. You want to help in any way possible. I felt extremely angry by the slow response time of the federal government. You saw TV news anchors on the streets reporting, but you didn’t see necessities such as food, water and medicine getting to the people who needed it most. I couldn’t imagine how hopeless the people felt. The ones trapped in their homes breaking through the roofs or the people crowded into the Superdome. Those images will haunt this country forever.